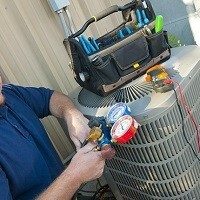 Home » FAQs » How Often Do I Need to Change Out an Evaporative Cooler Pad? How often you change your evaporative cooler pad depends on a few variables. How often and for how long you use the pad will dictate how often you change it. The water supply to the unit will also affect how often it has to be changed. Refer to the owner’s manual of your unit for detailed instructions and a maintenance schedule. How Long Do Evaporative Cooler Pads Last? Evaporative cooling pads vary on their lifespan. It depends on how long and how often the cooler is used. The quality of the water supply also affects the lifespan of the cooling pad. If you notice the cooling pad is cracked, you should definitely replace it. Some common brands of cooling pads are the Aspen and Cellulose. If you have Aspen cooling pads, you should change them at the beginning of each season or sooner, depending on the mineral deposits built up on the pad. Cellulose, or CelDek, pads last longer and require changing every 3 to 5 years. If you are unsure what type of cooler pad you have installed in your unit, refer to the owner’s manual for a detailed schedule and instructions on changing it. When you aren’t using the system, shut it down. That includes shutting off the water supply and the drain the water supply before storing it for the winter. You should make sure the water tank and filters are clean prior to backing it away. Some evaporative coolers recommend water treatment tablets. If yours recommends this, use them regularly to prevent buildup of minerals and controlling corrosion. 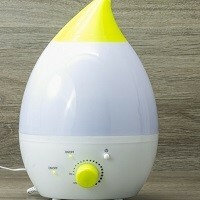 The tablets will also help freshen the air when it is pumped into your home. Frequently check the water level whenever the unit is operating. Just like when you pack the cooler away for the winter, you should clean the water tank thoroughly before using it again. This is extremely important if you have hard water in your area. The exterior of the unit should also be cleaned and wiped down every few weeks. This will boost your cooling efficiency and lengthen the lifespan of your evaporator cooler. How many windows or door do I need to leave open with an evaporative cooler?